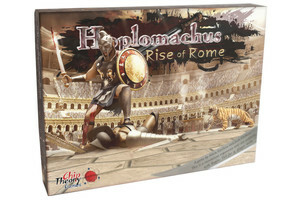 The sequel (and expansion) to Hoplomachus: The Lost Cities! Rise of Rome brings two new cities to the sands. Play as Rome or Pompeii as they attempt to win back the crowd in the Colosseum. Face off in a Player vs.Player battle, or challenge a Titan in a solo and co-op modes! Combine Rise of Rome with the Lost Cities to allow for 2 vs 2 team showdowns. A mort les Titans !